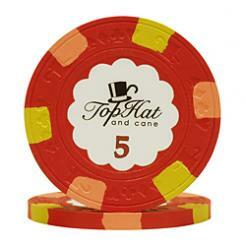 Paulson poker chips have a distinct look and feel to them. These chips are true casino grade chips. They have the exact same materials and design of chips that are used in most casinos around the world. 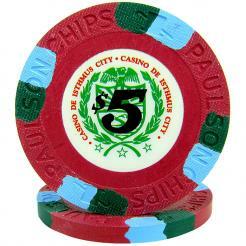 Paulson is the undisputed leader in professional casino poker chip manufacturing. These poker chips are made in the same facility where they make the chips for casinos. 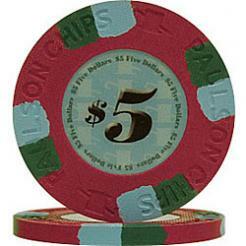 Many casinos around the world use Paulson chips for poker and gaming. Some include these Las Vegas casinos; Bally's, Bellagio, Caesars Palace, Excalibur, Harrah's, Mandalay Bay, MGM, Mirage, Monte Carlo, New York New York, Paris, Riviera, Treasure Island, Tropicana, Venetian, & Wynn. If you want the best clay poker chips, Paulson is it! After a certain amount of use, your paulson poker chips will need to be cleaned and oiled. Like any poker chip, dirt and grime will build up with use. If you want them to look new again, you will need to clean them. This is a time consuming process. You may want to clean 50-100 chips at a time. 50 chips will take you about an hour to do. To clean the chips use a mild soap and water mixture and a soft toothbrush. Dip the toothbrush into the water and lightly brush the chip to remove any dirt. Once clean use a towel to dry off. Then lay the chips out on another towel to air dry. Do not stack them. You may or may not choose to oil your chips. We recommend it. But it is not necessary each time you clean your chips. It can be a little messy and time consuming. Use only mineral oil. Don't use a vegetable oil. dab a little oil onto a cloth. Rub the oil onto both sides of the chip with the rag. set the oiled chips on a towel. After letting the oil soak in for a few hours, use a clean towel to remove any excess oil.